WHEN THE METHODIST MOVEMENT began to grow, John Wesley faced the problem of dealing with converts who returned to their old ways. Many Methodists came from the lowest social classes, so nothing in their background or environment helped them live the “sober, quiet, godly lives” Wesley prescribed. Their backsliding discouraged those who were trying to follow Christ and gave Methodism’s detractors ammunition. The solution to this problem came in a way no one expected. The Methodists had contracted a debt to build a preaching house. In an effort to pay off the debt, the leaders volunteered to visit each Methodist each week and collect a penny. When they found that it was easier if the people came to the leader, the Methodist class-meeting was born. The people still paid the penny, but the meetings quickly became more pastoral than financial. Leaders used the meetings to instruct members and check up on their spiritual progress. Seeing how effective this practice was convinced Wesley that the work of God could not prosper without church discipline. With church discipline, however, Methodism did prosper, reaching almost a million people before Wesley’s death. Wesley made church discipline work through four main strategies: (1) he preached it, (2) he taught his lay leaders to administer it lovingly, (3) he organized people into small groups where they could look out for each other, and (4) he publicized the benefits of obeying the Lord in this area. Wesley lived a disciplined life and was not afraid to hold other Methodists to a similar standard. Reading certain sections of his journal gives the impression that he spent as much time throwing people out of Methodist societies as he did persuading them to come in. During one early visit to Bristol, he purged almost 20 percent of the society for sins including drunkenness, dishonest business practices, gossip, theft, arguing in public, and cheating on taxes. 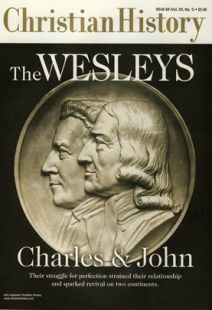 Later, when he found a whole group of Methodists whose behavior was substandard, he “told them in plain terms that they were the most ignorant, self-conceited, self-willed, fickle, intractable, disorderly, disjointed society that I knew in three kingdoms.” Evidently the group listened well, for Wesley reported that “many were profited” and not one was offended. What Wesley learned through his experience administering church discipline, he passed on in sermons like “The Duty of Reproving Our Neighbor” and “The Cure of the Evil-speaking.” The key to success in a case of church discipline, Wesley said, is the spirit of the one who points out the sin. Sometimes this gentle approach succeeds, but other times, Wesley noted, the “mildest and tenderest reproof will have no effect.” In such cases one or two others must go with the one who has already gone, first expressing their love for the errant brother, then establishing the facts of his sin, and finally exhorting him to repent. If this second attempt fails, the concerned Christians should take the matter to the church. It becomes the minister’s responsibility to rebuke the sinner and, if necessary, put him out of the church. Wesley was able to practice what he preached about church discipline because he organized his followers into small groups. A Methodist society included all the Methodists in an area. It was divided into groups, or classes, of 12. The people met each week to study the Bible, pray, and report on the state of their souls. Each class had a leader who reported to the preacher in charge of the society. 1. What known sins have you committed since our last meeting? 2. What temptations have you overcome? 3. How did God deliver you? 4. What have you thought, said, or done that might be sinful? Because the leaders knew each class member intimately, they could tailor their words to each individual need. The frequent meetings meant that wrong attitudes could be stopped before they developed into sinful actions. In this context of frequent, personal, and loving contact, church discipline became a powerful redemptive force. Although church discipline yielded so many positive results, Methodist leaders were not always eager to exercise it. Throughout his career Wesley had to admonish his deputies to examine the societies and expel all who disobeyed the rules. Charles Edward White is professor of Christian thought and history at Spring Arbor College. The evolution of John Wesley’s most contentious doctrine.